Pesticide-treated seed and structural treatments to grain storage and handling areas may leave chemical residues in cereals, pulses and oilseeds unless managed effectively. Treated grain storage and transport surfaces should be cleaned before coming into contact with newly harvested grain to prevent contamination. The Department of Agriculture and Food carries out investigations when chemical residues are detected in grain, fruit, vegetables or livestock as part of the National Residue Survey. Treated seed (pickled seed) and grain structural treatments may cause chemical residue detections in cereals, pulses, oilseeds and livestock unless managed effectively. Low level cross-contamination may occur when clean harvested grain comes into contact with treated grain storage, transport equipment or seed. Prior to harvest, any surface that has been in contact with treated seed, or sprayed as a structural treatment, should be decontaminated using high pressure cleaners with a specialised detergent (available from your local reseller). These surfaces may include: silos, augers, trucks, trailers, field bins, chaser bins, grain sheds, and grain shovels. Farmers should monitor their use of seed protection chemicals and ensure appropriate risk management practices are in place. Only use registered/permitted products approved for use on the seed or structure being treated. Do not exceed the maximum rate or frequency of application. Observe all label precautions/constraints, especially the withholding period. Talk to your seed cleaner, reseller, consultant or product manufacturer to obtain specific advice regarding decontamination of grain handling equipment prior to harvest. 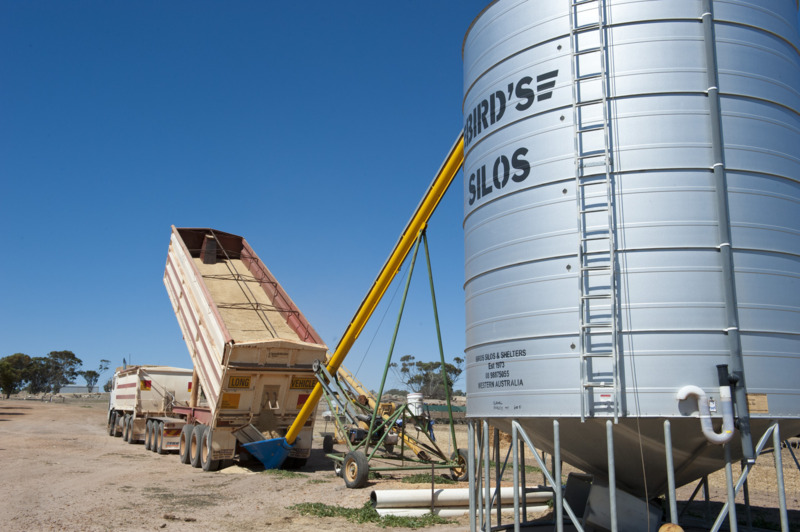 Clearly mark and separate treated seed from clean harvested grain and livestock to ensure mistakes do not occur during busy periods such as harvest. A Guide to the Use of Pesticides in Western Australia, Department of Health.